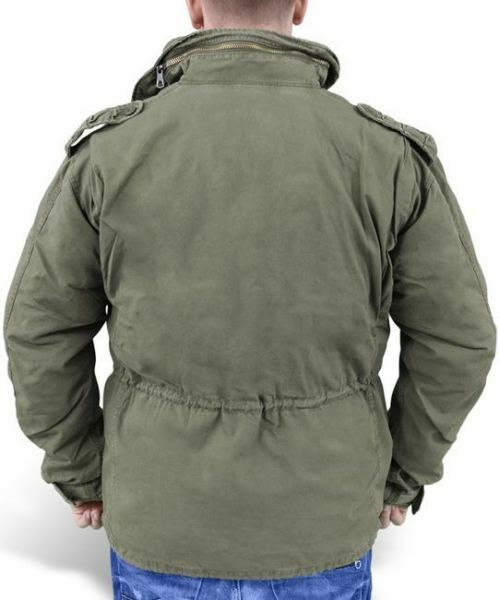 Winter, two-piece Jacket M65 Regiment of the renowned German manufacturer - SURPLUS. 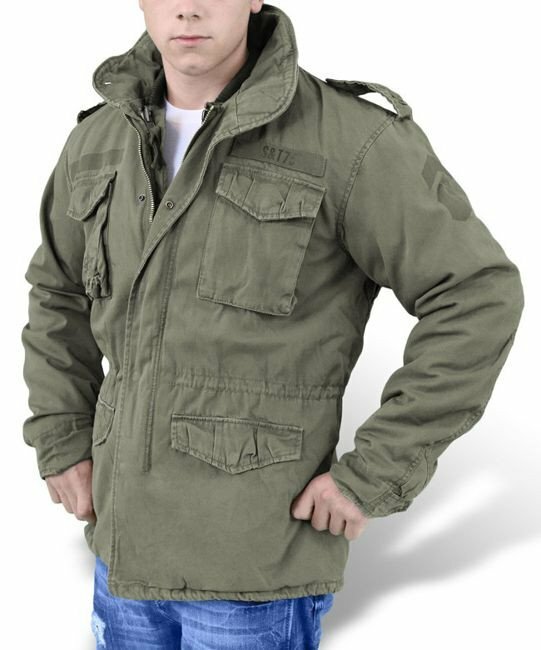 The classic fit guarantees a great appearance and the military specification ensures the highest quality of the product. The outer fabric is made of cotton. The use of such material protects against unfavorable weather conditions, but does not create a hermetically sealed coating - it allows the skin to "breathe", preventing overheating of the body. 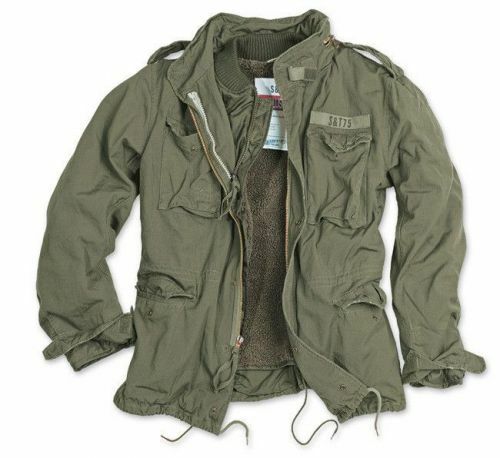 Made of nylon and cotton quilted lining, filled with polyester fiber for excellent heating properties. 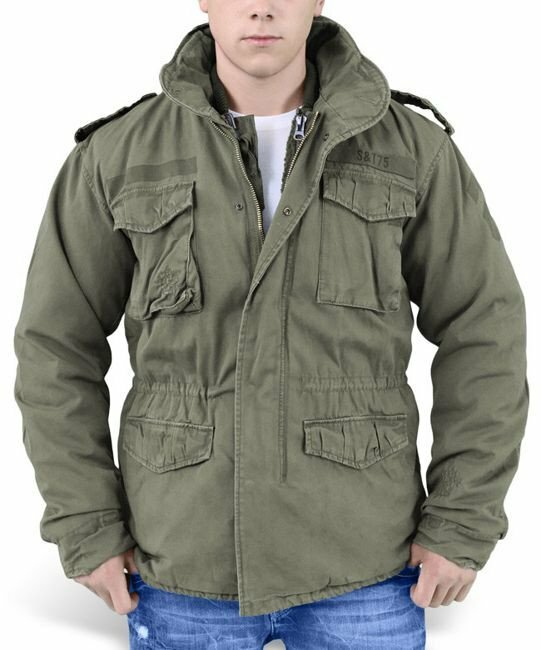 Additional inner stitching ensures even distribution of the insulation layer over the entire surface.
. The contents of the pocket are secured with straps fastened with snap fasteners. There are rams on the shoulders. The length and width of the cuffs are adjustable. The M65 jacket is designed for soldiers who use it in battle conditions. Ideal also for lovers of survival expeditions, travelers and fans of winter sports. It also works well for everyday use.